I was reading Tracy from Beauty Reflections' blog this morning and she did a great post on the 5 movies she would always stop and watch no matter what. I love this idea, so I'm stealing it. There aren't that many movies I can sit through over and over again, but there are a handful (aside from Burglar, which I've mentioned recently) that I watch every single time they are on television. When I was a little kid I used to watch old movies on weekends with my mum while she was doing the ironing, and this was in the days before video recorders (also known as the 1850s) so you watched it when it was on TV or you didn't watch it at all. 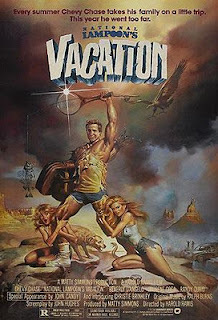 This one was shown every year or so and I would always make sure I watched it - even when I was older and had a life and places to go on a weekend afternoon. 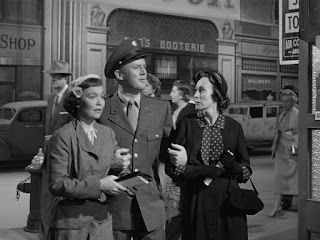 It's about a mousy spinster who meets a soldier and they fall in love. That's really all there is to it (though it has a weepy, tragic ending of course, as all these films do), but there's something so charming about it that it's always been my favourite of that particular genre. I'm not sure if this was the first mockumentary film ever made, but it was certainly one of the earliest, and I distinctly remember walking in when my brother was watching it on video, sitting down for 10 minutes and then turning to him and saying, "These guys are idiots!" Yes, I thought it was real. This is such a silly movie, but that's what I love about it. My favourite scene is probably the one where Audrey's hillbilly cousin (a very young Jane Krakowski) talks about how she can french kiss and Audrey scoffs that everyone does that, and the cousin responds, "Yeah, but Daddy says I'm the best." Words cannot describe how much I love this film. Another one I used to watch with my mum, and in my late teens Doris Day was my style inspiration. She still is really, I'm just too lazy for the upkeep. I have the soundtrack on my ipod and it is frequently played, let me tell you. I don't like Adam Sandler at all, I'm not overly keen on Drew Barrymore, and I usually hate rom coms, but this movie is one of my all time favourites. It taps into my penchant for nostalgia beautifully (I spent a year or so walking around dressed the way Christine Taylor does in this movie), and it's such a sweet, funny, likeable movie that I can't resist watching it every time it's on. And it has Billy Idol in it! Any film that has Billy Idol in it is good enough for me, frankly. So that's me - what are your 'always watch' movies? Love them!! 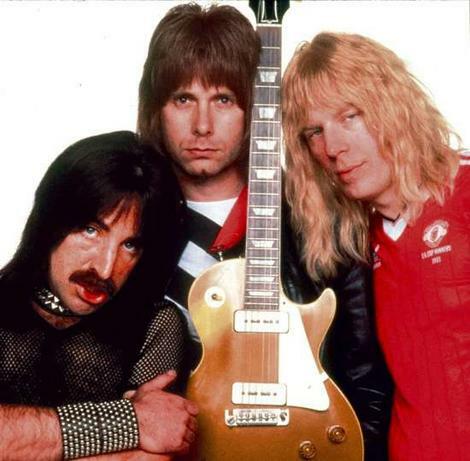 I love This Is Spinal Tap and ALL of Christopher Guest's movies! A Mighty Wind and Best In Show-LOVE. I need to see Calamity Jane now! I've never seen that one! Great list! The Wedding Singer was my favourite movie for years - up until about 2008 when it had to learn to share top billing with Role Models, which is another movie I'll always stop to watch. Tracy, Calamity Jane is AWESOME. If you like old Hollywood musicals at all, it's a must-see. Natalie, I do love Role Models but it's not one I'd sit through over and over. Jade, Mean Girls is definitely a stop-and-watcher. "Four for you, Glen Coco. You go, Glen Coco!" Well, someone spent the day catching up on blogs, Liz! Do the list, do the list, do the list, do the list, do the list... and so on and so forth.